Reading and Reception: Saturday, April 13th, 4:00 - 7:00 p.m. The memoirist creates narratives from the nexus of life's reflection; turning points and revelations transform into diaries of experience, nostalgic photographs, love letters, and paintings. Artist, writer, and musician, Carol Es uses a wide spectrum of media to express personal, yet universal stories of existential depth with humor and wit. In her new solo exhibit, Memoir, she presents a collection of oil and mixed media paintings, small gouaches on San Fernando Valley area maps, and drawings from The Journal Project--her ongoing diary made by hand-cutting garment patterns of manila paper and spontaneously marking them using only the tools of the manufacturing trade. 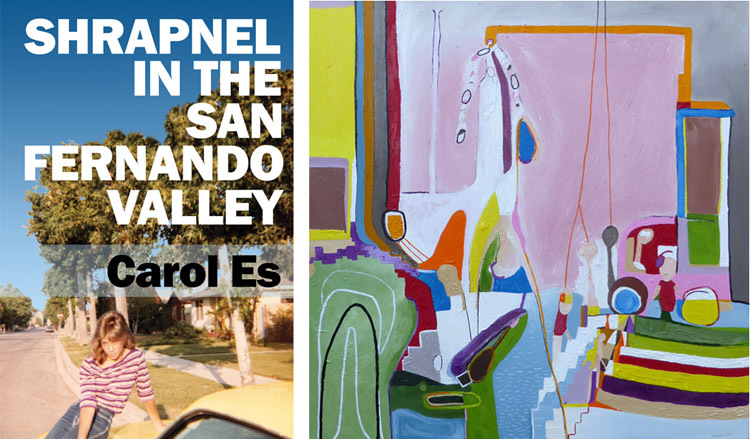 Additionally, Craig Krull Gallery hosts the launch of Carol's first major bookwork of nonfiction, Shrapnel in the San Fernando Valley (BUY). She will be reading an excerpt from this intriguing memoir, participate in a short Q&A, and sign both trade paperbacks, hardcovers, and special editions of the book. Native Los Angeles multimedia artist, Carol Es works in painting, drawing, textiles, soft sculpture, video, and handmade Artist's books. Her unique pieces are featured in numerous collections, including the Getty Museum, Brooklyn Museum, UCLA Special Collections and the National Museum of Women in the Arts. 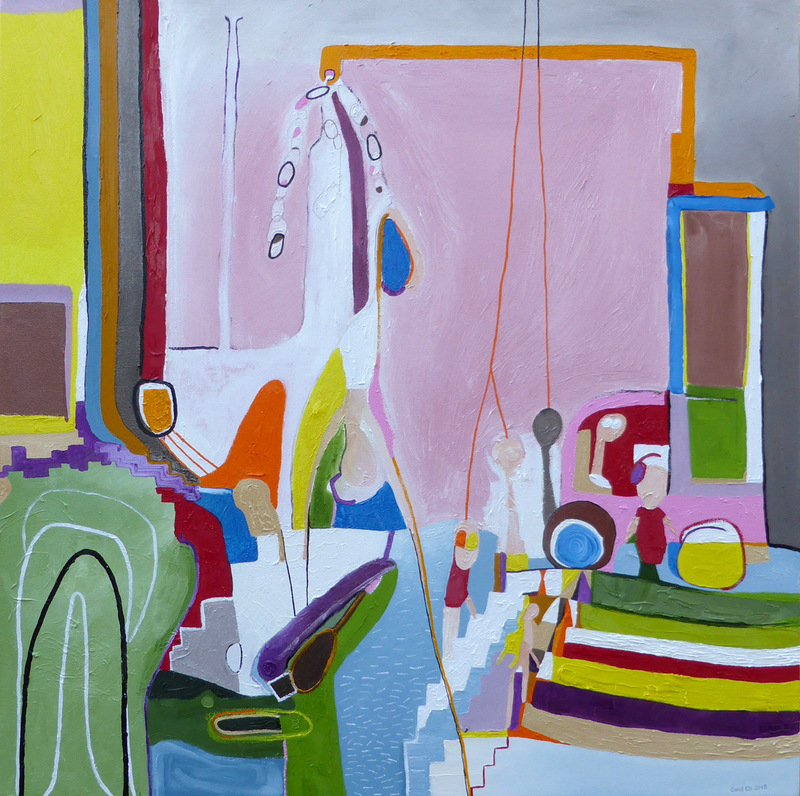 She is a two-time recipient of the ARC Grant from the Durfee Foundation, a Pollock-Krasner Fellowship and the Wynn Newhouse Award. A professional musician (a drummer) and writer, Carol's poetry has been published with small presses. She has also earned writing grants from the National Arts and Disability Center, California Arts Council and Asylum-Arts--a Global Network for Jewish Culture, and recently: the Bruce Geller Memorial Prize: 2019 WORD Grant.